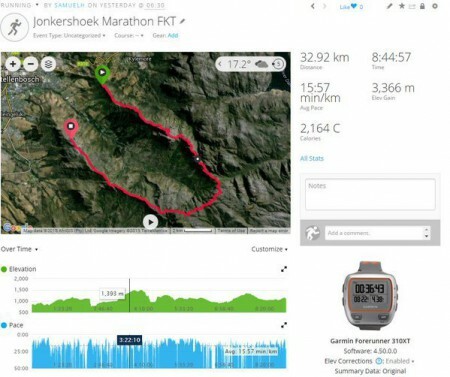 Back in March 2015 I posted about a Fastest Known Time (FKT) route in the Stellenbosch area known as ‘Jonkershoek Marathon‘. It’s a tough 30km route with +3,000-metres of elevation gain! A new FKT has been set by Samuel Holtzkampf. In mid-December 2014, Coos Diener together with Inus van Rooyen and Bennie Steyn, made an attempt on the Jonkershoek Marathon, aiming to better the long-standing record of 9 hours 40 minutes set by Henco Jordaan in October 2000. Coos wrote an excellent account of the route and their experiences. 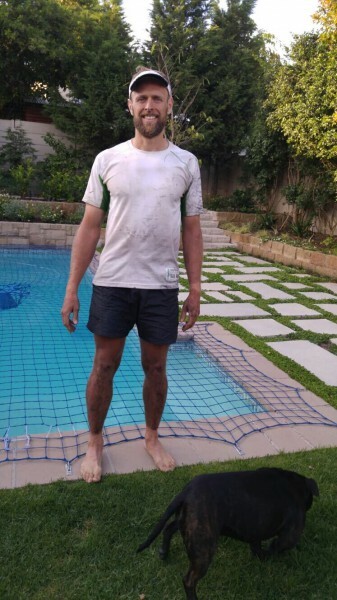 On 16 December 2015 Samuel completed a distance of just over 32km and managed to accumulate 3,366 metres of elevation in a time of 8:44:57. You can read Samuel’s interesting account of his FKT on the TrailTimes website. Please note that this is not a trail run on a marked route and this blog does not provide sufficient detail for prospective hikers. The Jonkershoek Marathon is a great mountain adventure with some exposed and dangerous sections. If you want to attempt it, first take time to explore the beautiful Jonkershoek reserve. The spirit of the Marathon is really in the time that you spend on the mountain in preparation for it rather than just going out there following a GPS track. I would recommend joining the MCSA. There you will find a wealth of experience and willing mountaineers to explore with you. Please also keep in mind that you should complete the route safety forms. This is now the time to beat. Well done.